Sherwood City Council approves a first and second reading of concept plan for the new high school. A sense of urgency to remain on task for a new Sherwood High School dominated the Tuesday, Dec. 19 Sherwood City Council meeting and all the councilors and the mayor responded by approving the new Sherwood High School concept plan in its first- and second- reading. Matt Straite, of the contract planning staff provided a detailed presentation to the council and attendees. 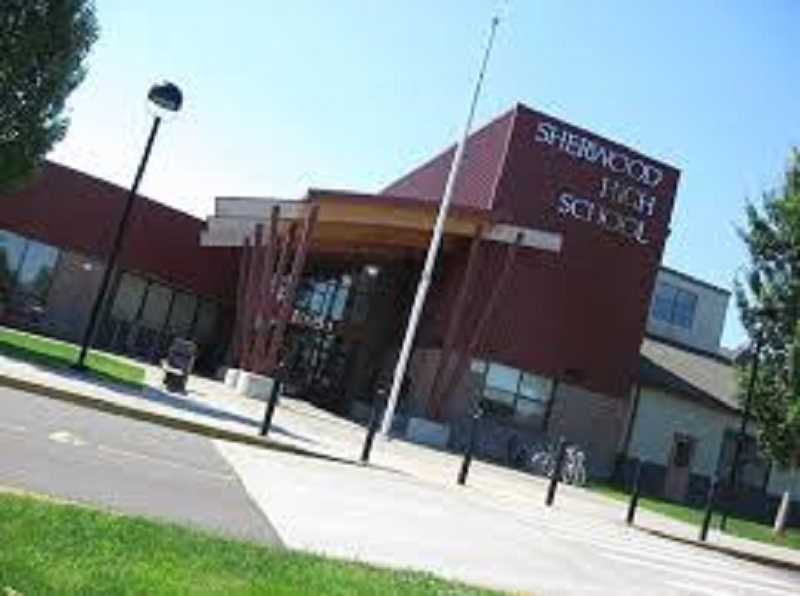 "Staff respectfully recommends that the city council hold the first public hearing to determine whether to adopt Ordinance 2017-008 approving the Sherwood High School Concept Plan, amendments to the comprehensive plan text, amendments to the comprehensive plan and zoning map, adoption of a Title 11 Concept Plan and establishment of an effective date," Straite said. But the council did one better, holding the second reading and approving the concept plan as well as acknowledging refinements to the Sherwood West Preliminary Concept Plan. The Sherwood School District is exceeding capacity at most schools, especially the high school, according to school officials as well as teachers, the principal, the superintendent and students. The current high school site is surrounded by single-family development and is incapable of any additional growth on the site. An extensive search was done for a site within the city limits, including an alternatives analysis in the applicant's narrative, vetted by Metro during expansion hearings. The conclusion was that the best suitable site for the new high school is just outside the city limits in an area that has already been designated as an urban reserve and preliminarily planned by the City of Sherwood. The proposed site is currently an abandoned farm with mostly Christmas trees, along with some abandoned and some occupied single-family homes. The site currently provides scenic opportunities in the form of vistas and generally open spaces. After the November 2016 election results were announced, the school district began discussing the preferred location of the new high school. Four community input sessions were held on March 9, 2017, April 3, 2017, May 30, 2017 and a community forum on Sept. 28, 2017 addressing everyone on the original mailing list for the Sherwood West Preliminary Concept Plan intended to vet the proposed revisions to the plan with the public. The superintendent of Sherwood School District, Heather Cordie, was present for public comment. "I want to ask for approval of concept plan," Cordie said. "It's been a little bit over a year since the voters supported this bond. We need to carry out the promises of this bond. I want to thank you in advance for your support for coming alongside the school district for the 5,200 students in our care." The Sherwood High School Principal, Ken Bell, spoke during public comment. Bell lives directly across from the proposed new school. He highlighted the sense of urgency to provide a new facility. Bell said there are 730 students at Sherwood High School currently and they have already added six portable classrooms, as well as using converted storage closets for learning spaces. "Going to a new site is so important to us," Bell said. "We are predicting many more students each year." City officials said they are on a tight timeline to get the school opened by 2020. The council added that there has been extensive community outreach on this project for about a year and that schools attract people to Sherwood. They said the new school clearly has support of Sherwood voters. A student, Shaurya Gaur described the degree that the current school is overcrowded. We need a new high school" Gaur said. "Not eating at the cafeteria at lunch — that has been me for over a year now. People are scattered everywhere. It distracts other students who are in class while other students are eating lunch in the hallways." Gaur added that he's involved in engineering and robotics club. "When I'm in the projects room, the space gets congested really quickly. Not just the population, but also our core facilities are impacted," Gaur added. Sue Hecker, a parent of two Sherwood High School graduates and one current student, has lived in Sherwood for 21 years. She said because the community supports students in an unprecedented way, Student population has climbed and schools have become overcrowded. "We had thorough and robust conversations and what we discovered was we needed to craft a bond to meet the needs of the students," Hecker said. "What we're facing today, these aren't numbers — they are human beings. Use the precious gifts of taxpayer dollars to benefit our students." One Sherwood High School teacher, Liz Barrett, said "There are seats where you must be petite to fit in the classroom." She said lunchtime doesn't adequately provide a place for students to get their energy out and have their lunch and converse because of the overcrowding and it's not conducive to an optimum learning environment. Nicole Brutosky, an eight-year Sherwood resident added, "Classrooms are packed, poorly-lit, crowded areas and halls negatively impact learning. The overwhelming sentiment is that people are relieved that the new school is coming to fruition." Brutosky pled with the city council, "Don't delay the process. We are facing even more crowding. We need your help to keep this on track," Brutosky said. Aside from having more learning space for students, another feature of the proposed new school site, is a parking lot anticipated to have approximately 800 parking spots as opposed to the current 300 spots at the high school. All city councilors and the mayor were present except for Tim Rosener, who attended electronically.